Across Washington, nature nourishes. This season, as we gather with family and friends to enjoy our state’s vast bounty, we share responsibility to respect and steward these resources. We traveled across Washington to meet farmers and fishers alike, from recreational foragers to organic agriculture. Take a peek at our travels below to share in the inspiration of Washington’s bounty and its stewards near and far. At Makah Days each year, generations of tribal members mingle with visitors from across the region. An annual highlight is salmon smoked on the beach. 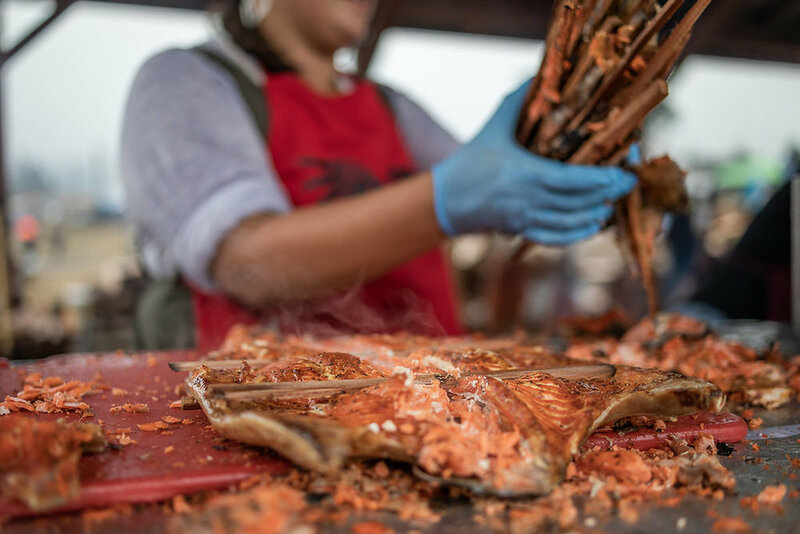 Makah tribal members mount salmon on cedar pikes for slow smoking on the beach in Neah Bay. This ancestral method is handed down to each generation and honors the salmon for its pivotal role in tribal life and culture. Apples are the vibrant hearts of Washington’s harvest. 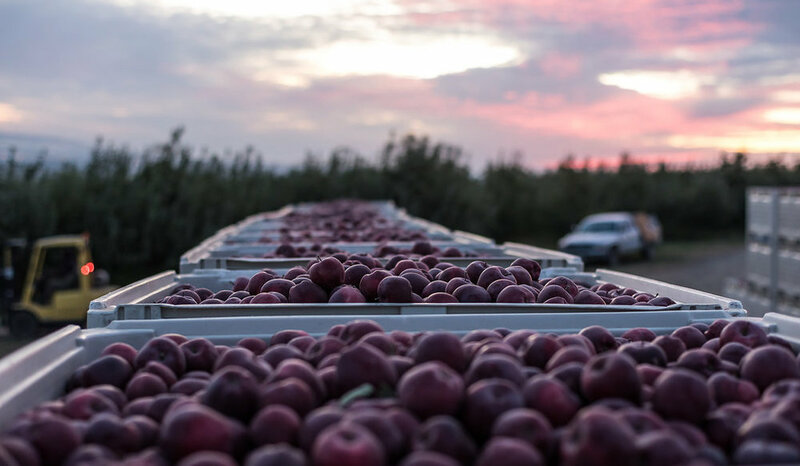 World-renowned and unsurpassed, Washington apples fuel an economic engine and support entire communities, within and beyond our borders. The harvest at T&T Orchards in Quincy employs about 50 workers each season, some of whom have returned for 20 years. Each harvester fills about 10 bins per day and each bin holds up to 1,400 pounds of apples. Hardy crowds brave cold, wet and windy days to dig and harvest razor clams each winter in Pacific Beach. These meaty shellfish draw thousands of harvesters each year, and regulations protect the native population with a 15-clam limit per person. Green sanctuary and fresh vegetables await at UpGarden, a community P-Patch on top of a parking garage in Seattle’s Queen Anne neighborhood. Several plots also grow food for donation, to share sustenance across neighborhoods. Salmon swarm in a reefnet set by Lummi Island Wild. 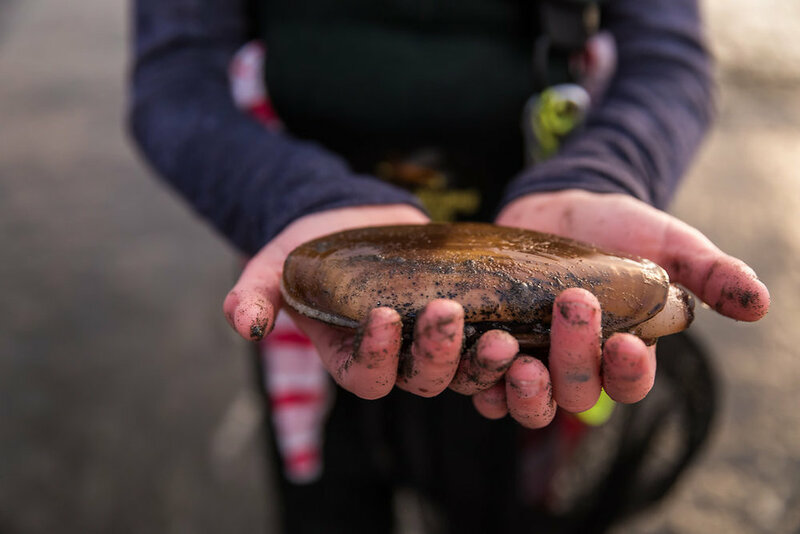 This sustainable and humane fishing method reduces bycatch and stretches back to ancient practices of the Lummi Tribe. Tamworth hogs munch a morning apple treat at Wild Plum Farm in Winthrop. The farm’s pigs are raised in open paddocks and fields, alongside a historic Heritage Barn. Matriarchs stand patiently at milking stations in the Twisp’s Sunny Pine Farm, the only certified organic goat-milk dairy in Washington. The dairy is home to 200 Guernsey goats, known for their sweet milk and good dispositions. Share the inspiration! These photos are among those featured in our new book “Human/Nature,” available just in time for the holiday season. Check back on our website for details in the coming weeks, or sign up for an alert when you can place your order!